There are three general categories of earthworms: Anecic, endogeic and epigeic. It’s pretty easy to identify which of these three categories a worm belongs to based on its size and color, as long as you’re trying to identify a fully grown adult worm. You can tell adult worms from juvenile (young) worms by the thick bump in the middle of the worm called a clitellum. Adult worms have a clitellum, while juvenile worms do not. Deep Burrowing (Anecic): Anecic worms (a.k.a. nightcrawlers) are deep burrowing worms that build permanent burrows as deep as 180 cm (6 ft) into the ground. You can identify these burrows by the pile of excrement around the surface called a midden. Adult anecic worms are normally larger (up to 15 cm) and pigmented (colored) on their front end. Anecic worms feed on dying leaves, grass, and other organic matter, and turn them into humus. When you use worms as fishing bait, you would normally be using anecic worms. The word anecic is greek for “out of the earth”. Soil Dwelling (Endogeic): Endogeic worms are soil dwelling worms that build complex horizontal burrows in the upper layers of soil and rarely come to the surface. 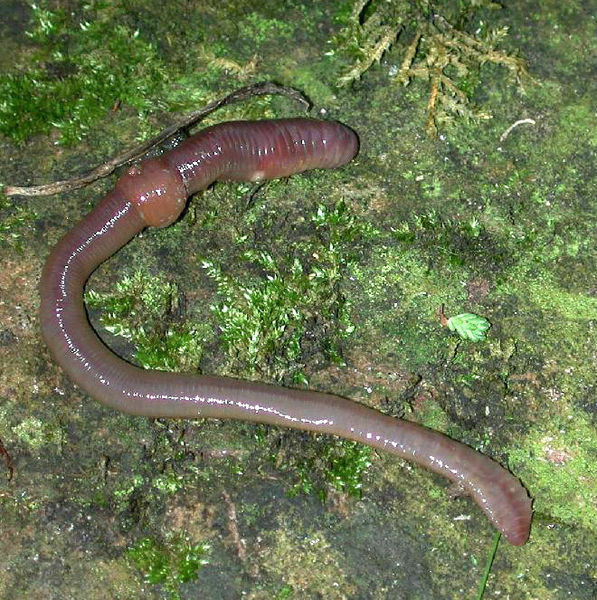 Adult endogeic worms are normally small and unpigmented (not colored). 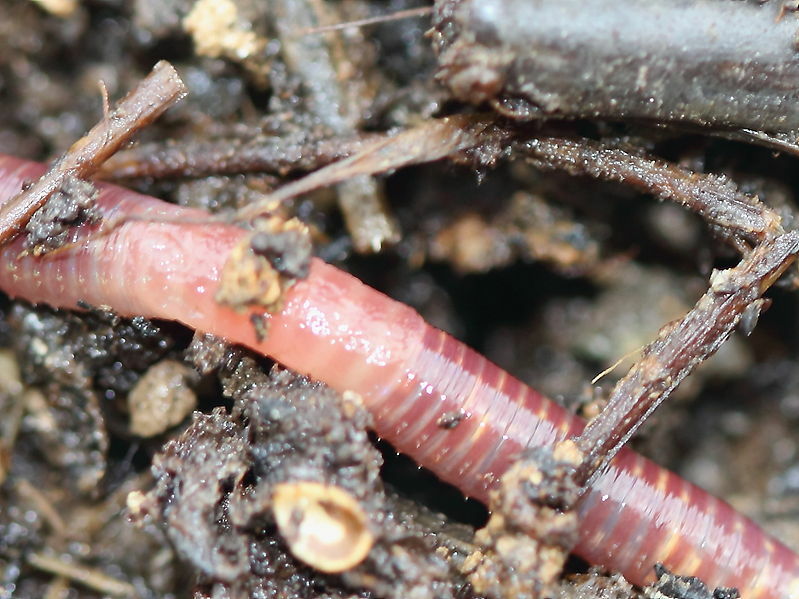 Endogeic worms feed on soil, which helps to mix minerals and air into the soil. Endogeic worms do not normally come to the surface unless there has been a heavy rainfall. The word endogeic is greek for “within the earth”. 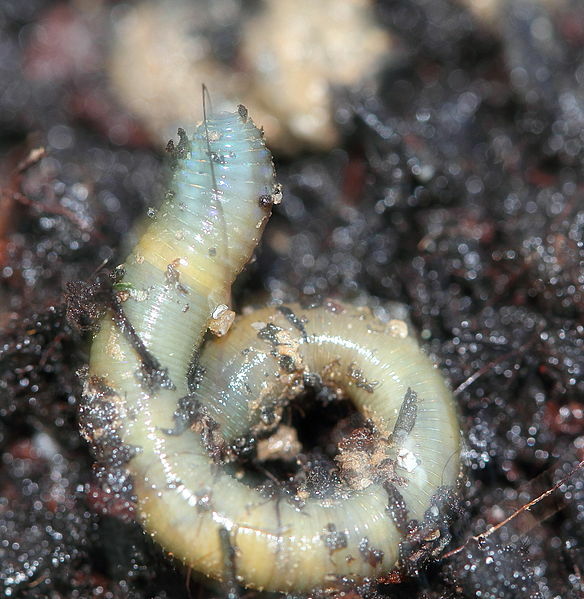 Litter Dwelling (Epigeic): Epigeic worms do not build permanent burrows but prefer to remain in the loose upper layers of soil and even above ground in the forest litter, which is made up of decaying leaves, branches, pine needles and other organic matter. Adult epigeic worms are normally small (2 - 7 cm) and pigmented (colored). Like Anecic worms, epigeic worms also feed on dying leaves, grass and other organic matter and turn them into humus. 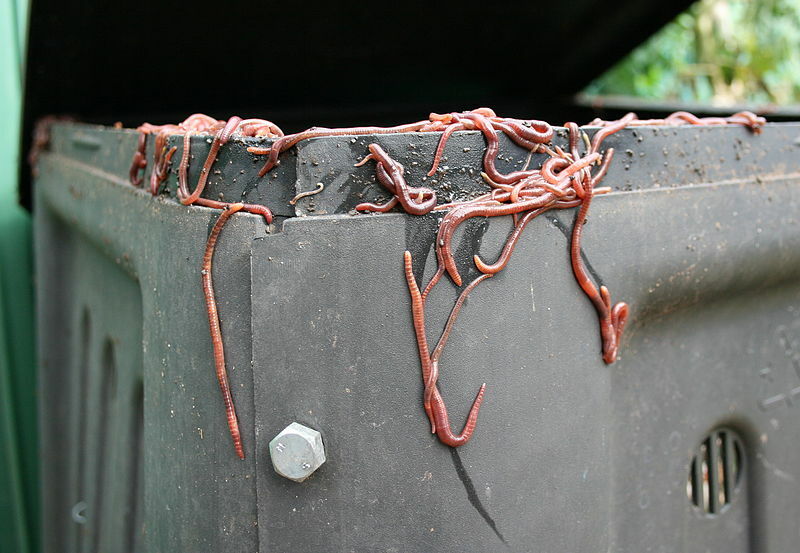 When you use worms for vermicomposting, you would normally be using epigeic worms. The word epigeic is greek for “on the earth”. It is possible to further identify earthworms to their specific species.